ALT 98.7, LA’s new Alternative radio station, announced the lineup for its annual Summer Camp concert event today. The show will feature today’s most buzzworthy alternative artists, along with the best new rising star artists, including: Foster The People, The Head and The Heart, HAIM, Bleachers, Sir Sly, Vance Joy, Magic Giant, Youngr and Beth Ditto. 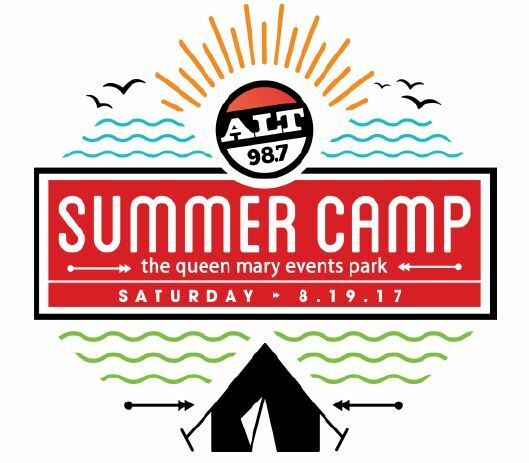 The highly-anticipated ALT 98.7 Summer Camp will take place on Saturday, August 19, 2017 at The Queen Mary Events Park in Long Beach. Members of ALT 98.7’s online loyalty program “The List” will have access to an exclusive presale starting Wednesday, May 10 at 10 AM PDT at Alt987fm.com and AXS.com. Tickets for ALT 98.7’s Summer Camp go on sale to the public on Thursday, May 11 at 12 PM PDT at ALT987fm.com and AXS.com. A limited number of VIP tickets will be available to purchase and will include pit access, a piece of official event merchandise and meet and greets with participating artists. ALT 98.7’s Summer Camp is sponsored by the all-new 2017 Subaru Impreza. For more details about Alt 98.7’s Summer Camp visit Alt987fm.com and AXS.com.